Your glitter colour pack of 10 include Sky, Green, Turquoise, Black, Violet, Rose, Gold, Red, Pink & Silver. Bio glitters break down naturally in the environment – perfect for outside events like carnivals and festivals. 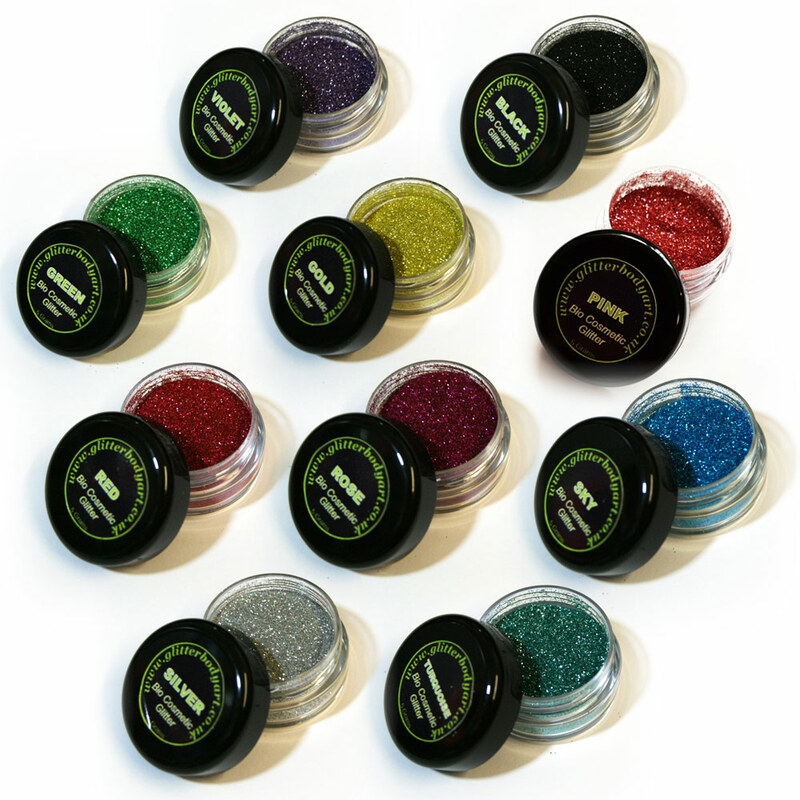 Our range of Biodegradable Glitter range are also available in 5 Gram Jar, 5 ml Puffers and 60ml Refill bottles. Glitter is size 008 so gives a great coverage for Glitter Tattoos. Bio-glitters break down naturally in the environment so that no harm can come to wildlife, perfect for outside events like carnivals and festivals or the environmentally friendly amongst us.